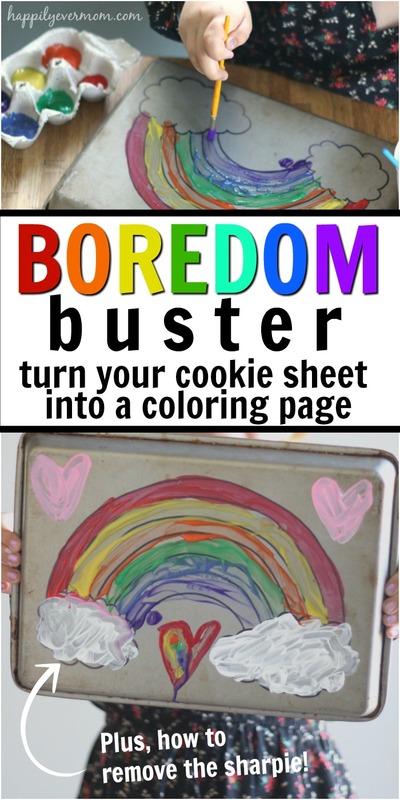 Inside this post: an easy boredom buster that turns a cookie sheet into a coloring page. Plus, how to clean the paint and sharpie off easily. The running joke over on Instagram is that I’m always taking something out the kitchen, ignoring it’s intended use, and turning it into a toddler toy. Seriously, you can see for yourself. 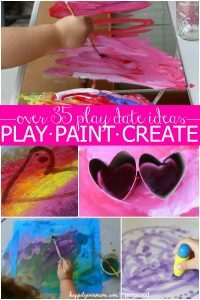 But before you run and start drawing all over your kitchen supplies with sharpies, I want you to see exactly how to turn your cookie sheet into a fun painting project. Because there are a few essential steps that you’ve got to know before you start! 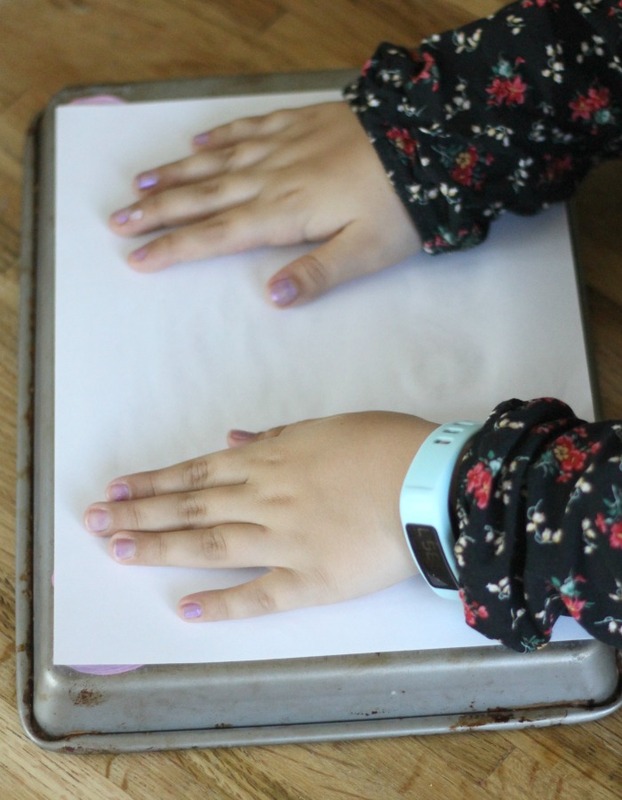 First and foremost, you’ve got to know that sharpie comes off of cookie sheets. Because sharpie pens are how you’ll draw images on your baking sheet for your child to paint. It’s kind of essential to this project! I did a small test in the corner of my baking sheet by drawing a little line. Then, I grabbed the secret sharpie removing ingredient –> RUBBING ALCOHOL and tried to wipe it away. The sharpie came off easily. But, I recommend using a tissue or paper towel instead of a sponge to soak with rubbing alcohol and scrub. The tissues works wayyy better than the sponge. I’ll get to how to clean up the tempera paint in just a minute. 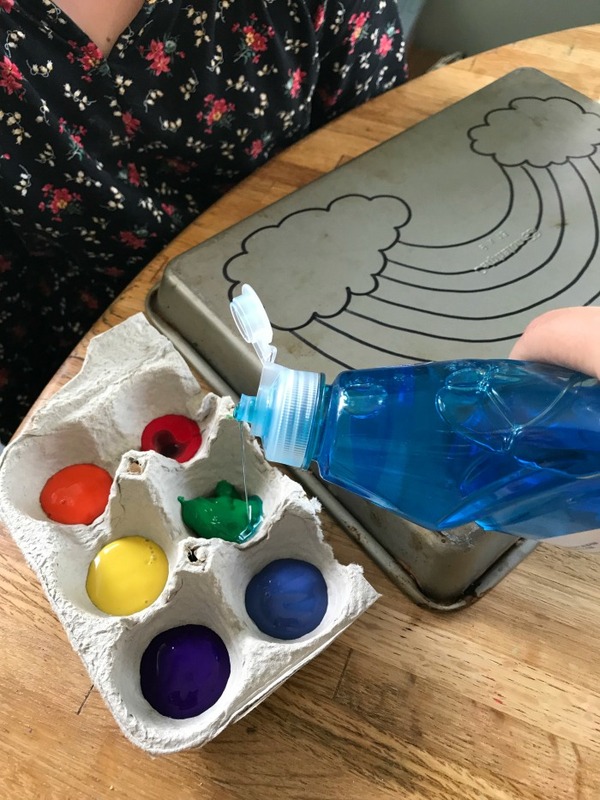 When you are setting everything up, add a little bit of dish soap to your paints for even easier cleanup. Remember, check the type of paints you have. 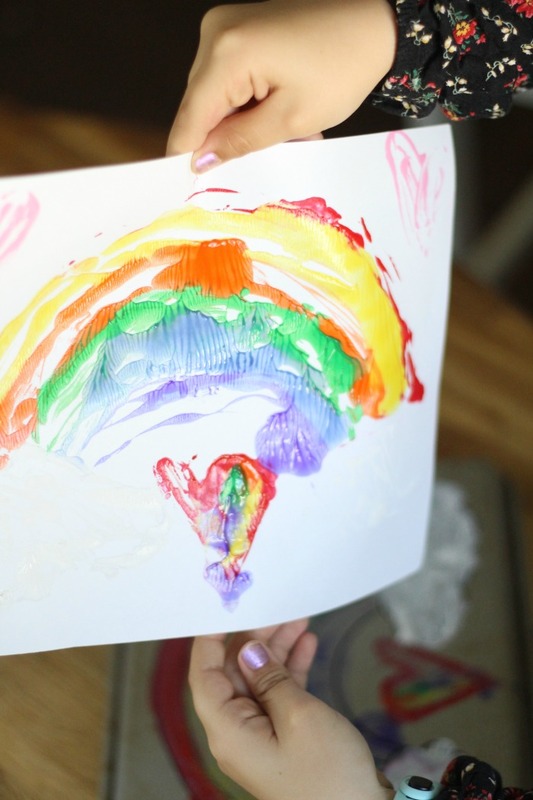 You want to use washable tempera paints like this one. Now, for the good stuff! 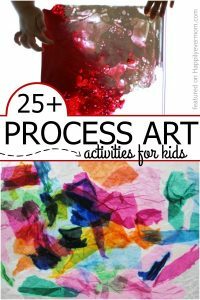 Let’s dive into how to do this project with your child. 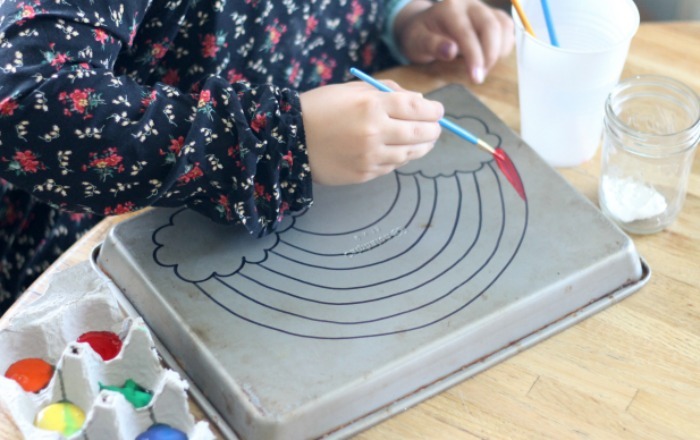 There are so many different images that you can draw on your cookie sheet. I drew a rainbow for this boredom buster because it was easy. But, we did this several times in an afternoon. My daughter drew her own design, then I drew a train and a horse-like anteater for my son. Nobody said it has to be perfect. 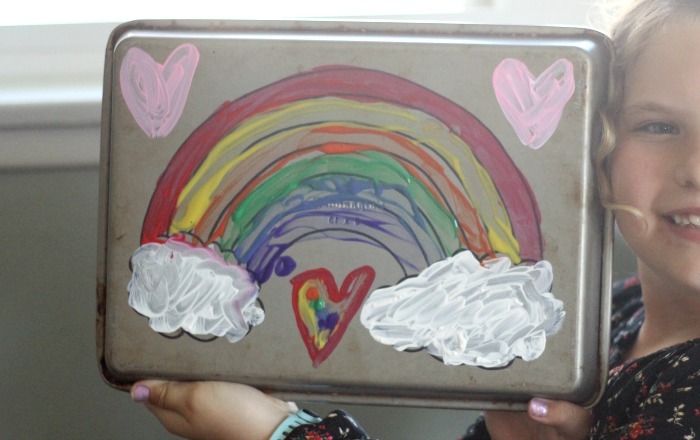 Draw a basic design on the back of your cookie sheet in sharpie. If you want to make a print: Place a piece of paper on the final project, press down all over, then gently peel the paper back to reveal your print. Wash away the paint and paint it again. Or, remove the sharpie to draw a new design. We made painted, printed, and guess what? My kid’s boredom was officially busted! I can’t wait to hear what designs you child comes up with. Leave a comment here or head over to Instagram where I’m always sharing easy, fun activities like this.